This is an update of our preliminary analysis based on the results published in Konca et al. (2008). 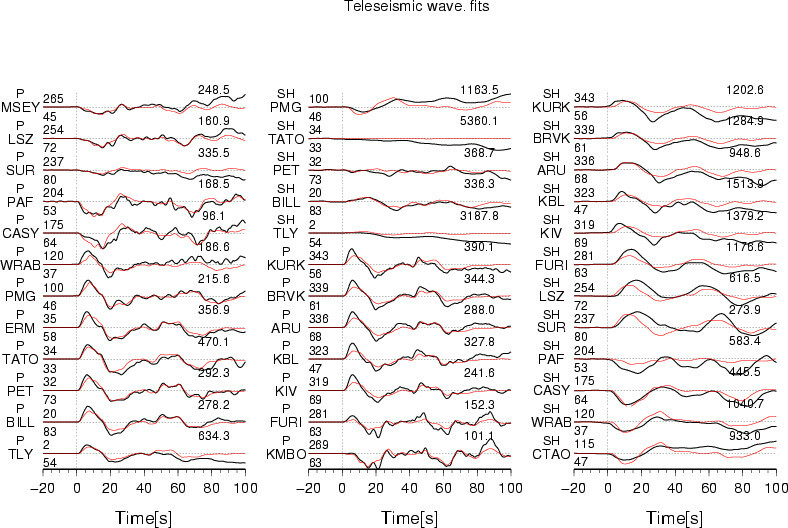 The source model is obtained by joint inversion of 27 GPS measurements at stations of the SUGAR network, and 36 teleseismic body waveforms (19 P and 17 SH). The location of the epicenter (Lon.=100.5° Lat.=-2.75°) was moved from the original USGS position to be compatible with the geodetic data. 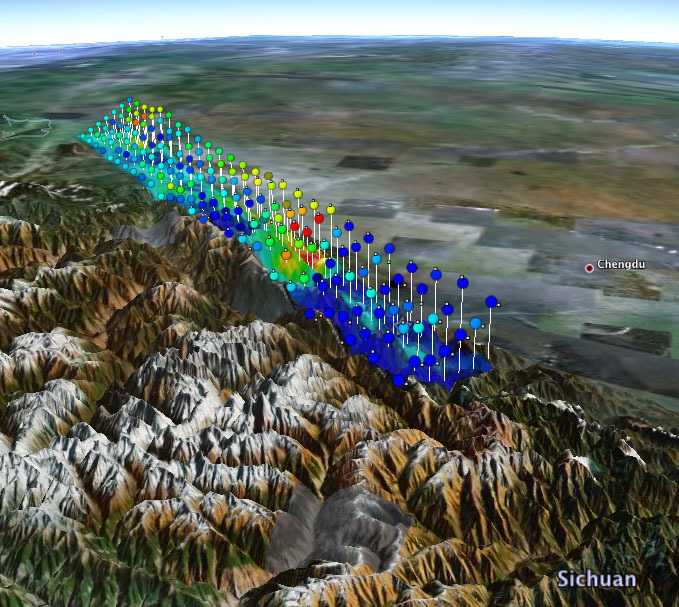 This event follows a Mw=8.4 earthquake which occurred 12 hours before. Figure: Surface projection of the slip distribution and fit of the GPS data. The model GPS vectors (red arrows for vertical and green arrows for horizontal) are plotted on top the measured GPS vectors (black arrows). 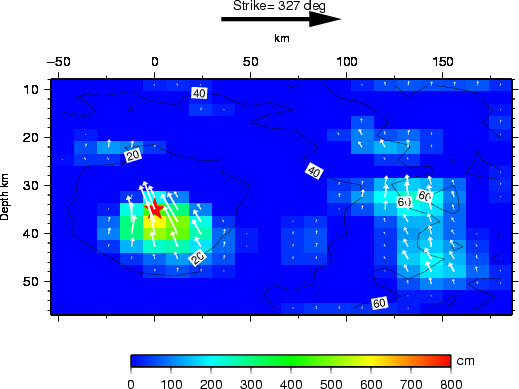 The epicenter corresponds to the red star on the fault plane, while the red star futher south corresponds to the epicenter of the Mw=8.4 earthquake which occurred 12 hours before.